The ancient city- state of Ilida in North West Peloponnesus, was built on the north banks of the Peneus River, between the mountainous part of Elis (Akroreia) and its coastal lowlands (Elis Koile). 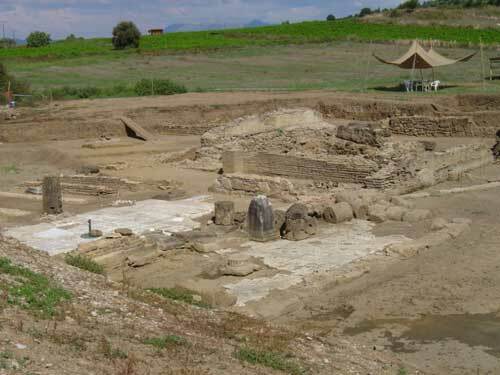 The findings so far have shown that Ancient Elis was populated, even as a small agricultural perish, from the Proto- Hellenic era (almost 2800-2000 B.C.) until the end of the Early Byzantine period (seventh century AD), when the city was abandoned. 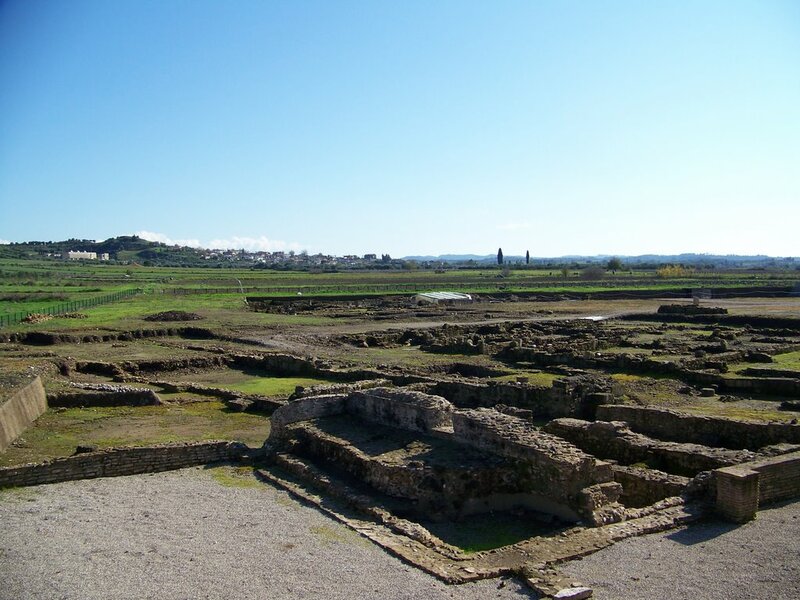 The city of Ilida was established, when Oxilos, who had come from Aitolia in the 12th cent. B.C., united all the separate perishes. Oxilos founded the Olympic Games when he embodied the Holly Temple of Olympia in the city-state of Ilida. 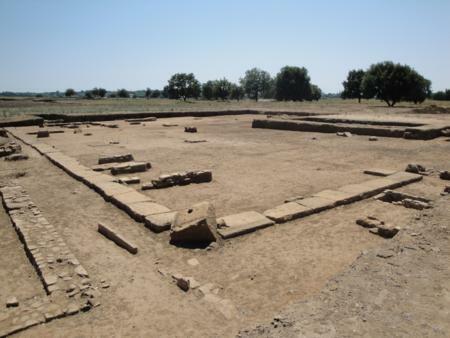 The games were reorganized in 776 B.C. by the descendant of king Ifitos, who signed a treaty with king Likourgos of Sparti and Kleistheni of Pissa. With this ‘holy treaty’ the whole area was considered sacred, thus securing peace and the success of the games. From that point on to the end of the 5th century the city flourished. The main target of the state was the organization of the Olympic Games. The athletes, according to the rules had to come to Ancient Elis one month before the games for workout. Friends and relatives came with them and as a result exceptional foreigners from the main Greece and the islands, as well as rich immigrants of Micra Asia, Pontos, Great Greece and Africa. 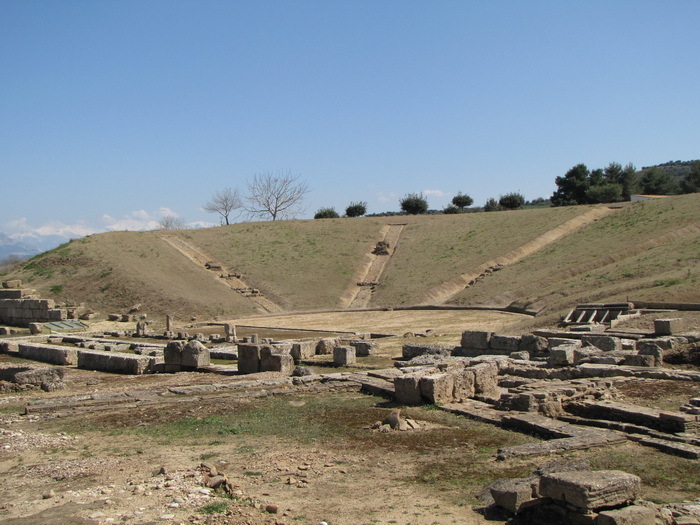 The extensive archaeological site of ancient Elis comprises the ancient agora, the theatre, the residential sector, the cemeteries, the acropolis, and the gymnasiums.